Full of mountains, swimming in the Ionian Sea! 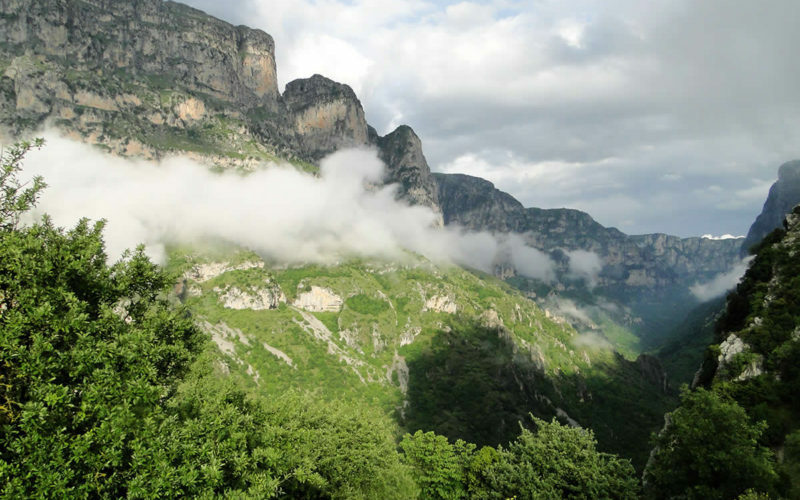 The region of Zagori, or Zagoria is a geographical unit with many interesting features. It belongs to the prefecture of Ioannina, consists of 46 villages, and is the fifth biggest municipality (in expand) in the country and the second most populated area in Greece. Its geographic isolation as it is located «Behide the mountain” (as its name means), the wild nature, have created a stunning natural and urban environment. 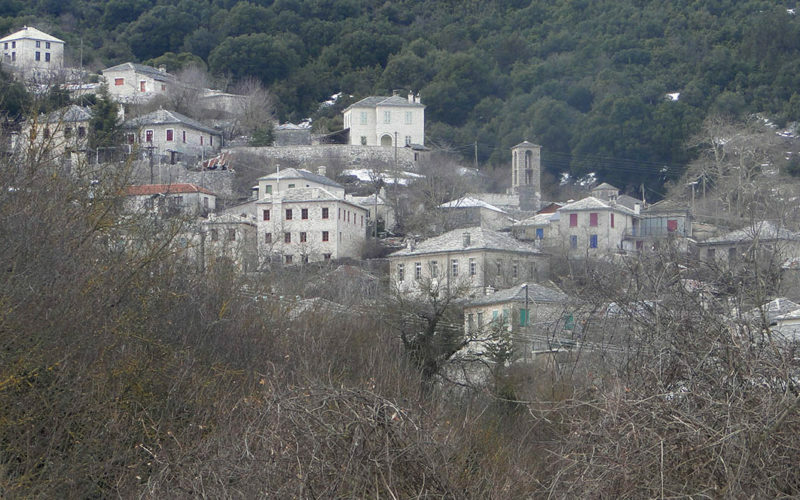 Zagori is nature, architecture and culture. Favorite destination of travelers, Greek and foreign, in search of another unknown and unexplored Greece. Zagori is walking in infinite paths, doing outdoor activities, rafting, canyoning in the gorge, climbing up to the alpine lakes, biking in the forest, learning all about loom and felt, discovering old monasteries, churches and unique Zagori bridges, tasting the purest “Tsipouro” (a local spirit), native products and dishes of the mainland kitchen, listening to the music of Epirus. And so much more comprise the experience of Zagori life. The endemic flowers and herbs, wild mushrooms, fruits of the forest, bears and wolves, eagles, sheep and cows in the prairie and of course the people of the region living in these villages made of stone. Ideal as a base for excursions in Zagori area, Kato Pedina (Soudena), is a unique village! Located in central Zagori between Monodendri and Papingo, it has excellent access to Ioannina, just a 35 minutes’ drive. It has 25 inhabitants and many more sheep and cows! It is one of the oldest villages in the area, had special privileges during Ali Pasha’s rule. In 1913 it was freed together with Ioannina. Meanwhile, the first “Soudeniotes” (the inhabitants of Kato Soudena) said farewell to many villagers that moved to Europe, especially in the regions around Dnieper River, Egypt and South Africa. These people endowed the village with some of the largest houses in Zagori and a unique culture, traces of which you can still see in Kato Pedina’s way of living. In the following years, many more people migrated to big cities of Greece, especially in Athens. However, the plateau that lies just beneath the village at 950 meters, retained a part of the agricultural activity, therefore today we can enjoy pure milk, cheese and a relaxing view of sheep grazing in the plain. The plain of Kato Soudena used to be the granary of Zagoria. In “Anilia”, just opposite Anemi, we find concentrated in the same area the largest number of threshing areas and stone huts in the Balkans, about 46, built with the technique of “xerolithias”. These traces of a bygone era, remind us moments of the rural life in Zagori. In the village there are two hostels and the café of Vangelio and Panos, a lodge not only for Zagori’s inhabitants but also for Ioannina’s residents and other travelers. Last but not least, Kato Soudena is famous for its cultural events throughout the year and for its film festival.